A. Probably yes. Remember, we at MedShadow are not doctors. 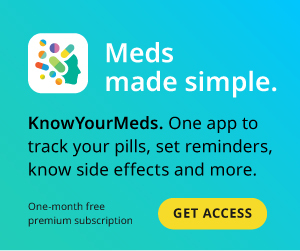 We are a group of consumers and patients who sift through the internet and talk to doctors to dig a little deeper and uncover more information than what is commonly known about a prescription drug. The FDA has approved Retin-A, generic name tretinoin, for “acne vulgaris” and nothing else. On the Retin-A label it states: “The safety and efficacy of the long-term use of this product in the treatment of other disorders have not been established.” This isn’t necessarily a red flag and doctors are allowed to prescribe “off label.” I called Valeant, the pharmaceutical company that manufactures a variety of strengths of Retin-A and Retin-A Micro. The medical information line person was quick to point out that anti-aging is not an indicated use for Retin-A in any of its forms. The longest studies the medical phone line could come up with covered 12 weeks, which is of no help in indicating long-term or cumulative effects. Retin-A is synthetic vitamin A. One can overdose on vitamin A, which can be very serious, but the small amounts in Retin-A make that unlikely. University of Maryland Medical Center’s web site suggested one not take multivitamins or any supplements that include vitamin A while using Retin-A. Avoid taking Retin-A while taking tetracycline (as always, discuss with your doctor all drugs and supplements at every visit). On the issue of long-term use, Boston dermatologist Dr. Ranella Hirsch, MD, FAAD, directed me to several studies. An NIH abstract concluded that retinoids are “…suitable as long-term medications, with no risk of inducing bacterial resistance,” Another study tested the safety of tretinoin cream over 52 weeks and found no problems. The study included only 12 people and had no control group, but I suppose it’s something. “Patients who are trying to conceive, are pregnant or lactating should refrain from using retinoid products,” stated Dr. Hirsch via eMail. Drug.com warns that Retin-A is an FDA pregnancy category C, meaning it’s not known if Retin-A is harmful to a fetus or breastfeeding baby. In high doses in rats, tretinoin (the generic name for Retin-A) was shown to be teratogenic and fetotoxic (caused birth defects and was toxic to fetuses). No study has shown the same relationship in humans and not all rodent study outcomes can be reproduced in human studies. If you’ve been taking Retin-A for longer than a few months you’ve worked past the very uncomfortable initial side effects. When first using Retin-A, many people experience redness, burning, stinging, peeling/exfoliation. It’s usually recommended to start using Retin-A slowly, perhaps every-other day and work up to a daily regimen. Whenever using Retin-A avoid the sun! It makes you susceptible to sunburn. Because children seem to be reaching puberty earlier, some parents are seeing acne earlier too. I wrote a blog on this and found that some children as young as 7-years-old are prescribed Retin-A, Differin, Accutane and antibiotics for acne. None of these drugs have ever been tested on children — caution and good sense should be exercised. The drug Accutane is also a form of vitamin A but in much more concentrated doses. It can cause severe damage, particularly during pregnancy. In order to take the drug you must be registered in the iPledge program and sign documents that assert you understand the risks. All women of childbearing age must have a negative pregnancy test each month before they are allowed to have more Accutane. You can’t even donate blood while on it. I also scanned some message boards to see if I could find complaints about Retin-A. Other than the first few weeks of redness and peeling, those who write on message boards seemed to be happy with Retin-A. Good luck! And let me know if you hear anything more than I could uncover. For more information on how retinoids work, I thought this article from Paula’s Choice website was particularly helpful. Yes, they do sell their own product, but the information is very clear and helpful (and free).